The FTC issues relatively weak penalties to tech companies that break data privacy rules. A new record-breaking fine may be a chance to change that. After a months-long investigation, the Federal Trade Commission is expected to issue what could be its largest-ever fine to Facebook for its role in the Cambridge Analytica scandal. Critics are watching this move closely — it could give the FTC a chance to get more serious about protecting privacy. The potential record-setting penalty is the latest response to the near-constant privacy scandals that plagued Silicon Valley in 2018. Privacy advocates say these cases should be grounds for harsher action from the FTC. One official for Consumer Reports, for example, told Bloomberg that "everyone wants to see the hammer brought down." Because as it stands, these tech giants can afford to absorb even the most expensive fines doled out by the FTC. In 2012, the FTC issued its steepest fine so far — $22.5 million against Google for shady tracking practices. The company made that money back in only five hours, according to the Wall Street Journal. SEE MORE: Facebook COO Sheryl Sandberg Addresses The Company's Recent Downfalls In the meantime, critics also call for stronger national privacy standards. Some advocates would like to see a single base-line set of privacy rules, so it's easier to punish companies that fail to comply. Some have pointed to the EU's General Data Protection Regulation as a framework for US law. Companies are more likely to notice the bite of GDPR, at least for now. It allows for fines of up to 4 percent of a company's total earnings for breaking privacy laws. 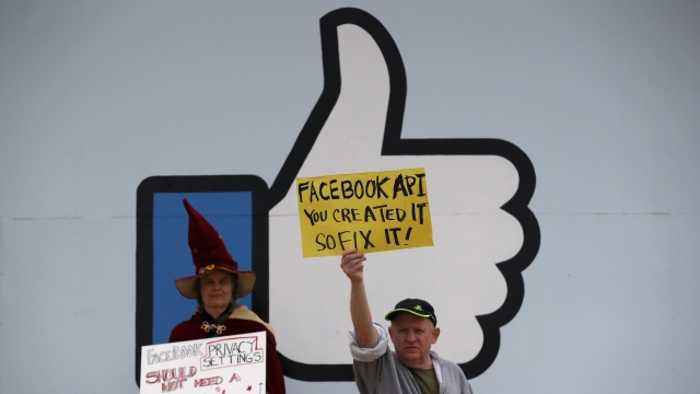 In one ongoing case, Facebook could be on the hook for as much as $1.63 billion.